Found an old magazine, I hope their still accepting checks. it's even comes with a 10 day money back guarantee ! Get me two! I’ll pay you back! 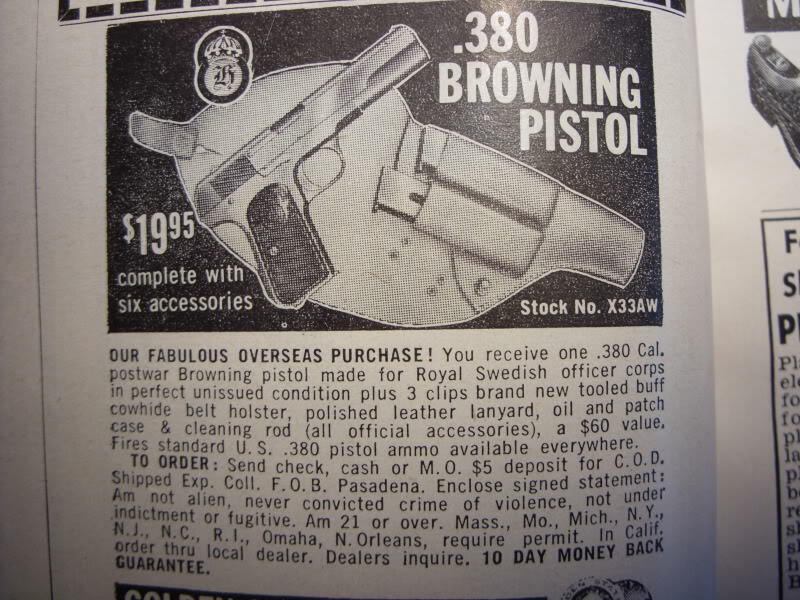 Now I need to find a Sears catalogue from 1932 or so and order me a Thompson! Heck, I would even go for the extra $5.00 for C.O.D.!! I once re-modeled an old house they had stapled newspaper to the outside wall to block air flow!! It was hard to work and not get caught up in reading the old newspapers !!! How much were people making back then, $50-$60 a week? You mean a Montgomery Wards catalog? Grandfather mentioned the guns and things that he could have ordered and sent right to the house. He also said at that time he was making about 1.00 a day, so somewhere near 30.00 a month. He told a depression era story when he and my grandmother were just newly married (15). Every Friday when he got paid They would buy a few groceries(they couldn't afford to buy meat) so think basic staples, pay their few bills, put a little gas in the truck he used for work and they would have .75 left over for a night out. They would go to Krystal burgers, a movie and share a popcorn. When they left he would pick up a box of .22 shells at the hardware store with what was left over.... That box of .22 shells provided meat for them all week. All for 75 cents.